SketShDb - what is it? SketShDb can be a lot of things: Todo list, Password manager, Mobile blog, Photo album, Voice recorder, Bug tracking, Wish list, Shopping list, Organizer for books, videos etc. simply whatever you make of it! SketShDb is not final yet: We still have lots of ideas for new extensions to our toolbox. Whether these features come true or not depends on how many people use and subscribe to SketShDb. If you are not satisfied or disappointed with SketShDb's features, don't go away too soon! Tell us about your thoughts! SketShDb may also solve your business needs... if you're interested or have any ideas, please get in contact with us! What does "SketShDb" stand for? 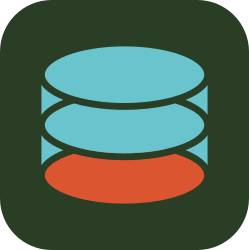 "SketShDb" is the combined form of SKETch, SHare and DataBase: Sketch your own database and share it with your familiy, friends or colleagues! Don't limit yourself to specialized apps. Use SketShDb to fit your needs! You are not limited to a central cloud server or cloud services vendor. You can even set up your own cloud server if you want. Also, you should learn about the basics of the app.